(Seychelles News Agency) - The Central Bank of Seychelles (CBS) says that the Bank of Muscat International Offshore (BMIO) is currently unable to process outward foreign currency transfers for its clientele. 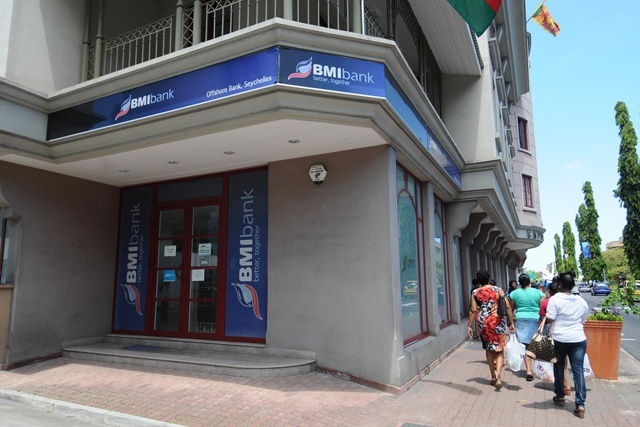 According to a statement issued by the CBS this afternoon, the bank BMIO uses as an agent abroad to conduct its transactions in foreign countries, otherwise known as a correspondent bank, discontinued its relationship with BMIO on October 13, leaving the offshore bank unable to process outward transfers, which is one of the core elements of its business. The CBS and the Seychelles Financial Intelligence Unit (FIU) are currently undertaking an examination of the bank to determine the reasons that have led to the loss of BMIO’s correspondent banking relationship. News of the investigation had initially sparked local fears that the bank had been closed down. CBS would not comment on which correspondent bank BMIO was using and also could not be drawn on when the offshore bank would be returning to normal operations, although the statement stressed that the bank’s liquidity was not in any danger and that BMIO was still ‘financially sound’. CBS has assured depositors that there was no indication that any monies held with BMIO were in danger, although the regulator warned that the deposits could only be accessible once the issue had been resolved and BMIO was once again fully operational. The offshore bank was registered in Seychelles in July 2008 as a joint venture between BMI Bank in Bahrain and Seychelles-based bank Nouvobanq, each with 50 percent shareholdings.